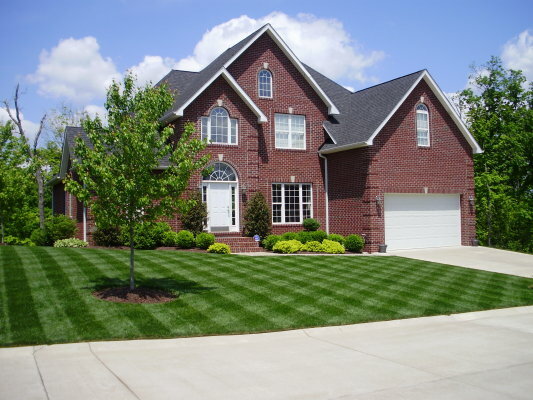 *Aeration- This is the number one service you can do to improve your lawn. By pulling thousands and thousands of plugs from the base of your lawn, the roots are able to get water and air, creating new grass growth. 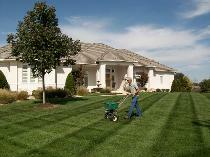 *Rolling- This service allows your lawn to be as flat as it was last spring. Due to excess snow lawns get bumpy and un-even. Give your lawn the “smooth row” look it needs. *Fertilization- Our full season service of granular fertilizer will give your lawn the nutrients it needs this upcoming year. Including regular granular application, weed prevent, and winter fertilization. *De-Thatching- is the mechanical removal from a lawn of the layer of dead turfgrass tissue known as "thatch." *Seed/Sod- Grass can be over come by various bugs and weeds and get to the point were new grass is the last option. Our experts provide you with this opportunity within reasonable prices. *Sprinkler Drainage- It is necessary to blow-out and winterize all sprinkler systems prior to the winters freezing temperatures. If you do not winterize your system, the ground will freeze causing any remaining water in the lines to freeze and in turn crack the sprinkler lines, leaving you with not only a system that no longer functions but an expensive repair.